Alcoholics Anonymous Radio Show is a 25 minute broadcast, brought to you by members of Alcoholics Anonymous based in the Christchurch area. 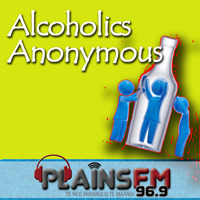 The purpose of this show is to increase public awareness of Alcoholics Anonymous as an effective means of recovery from the disease of alcoholism. Or you can download the Android app on your smartphone and search “findameeting” in the Google Playstore on your device. local AA members share their stories. 16 months to 16 years.